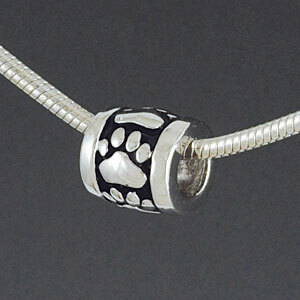 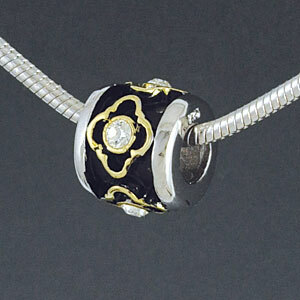 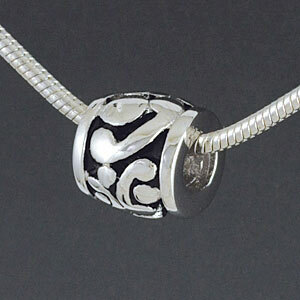 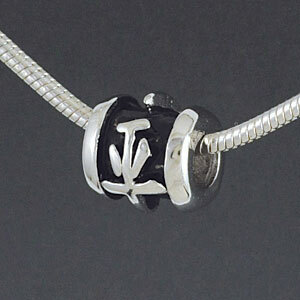 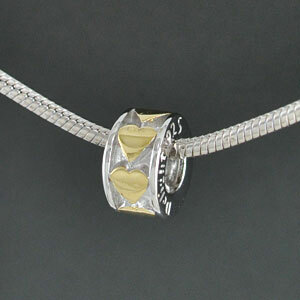 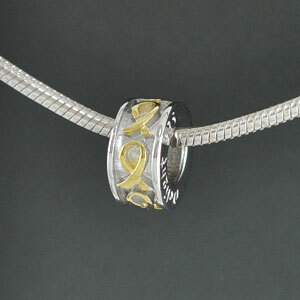 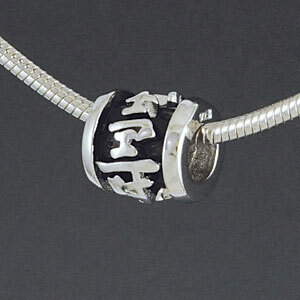 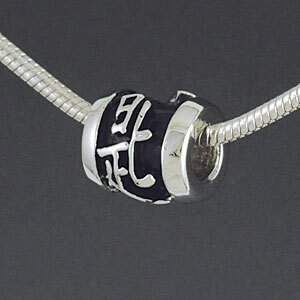 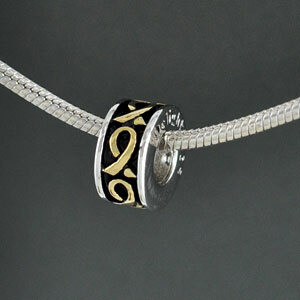 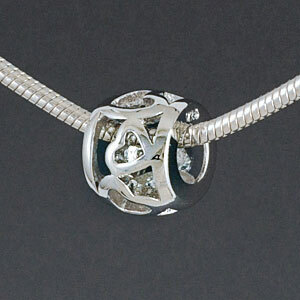 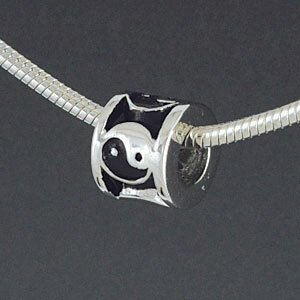 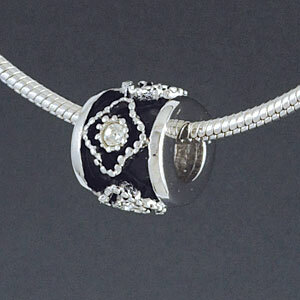 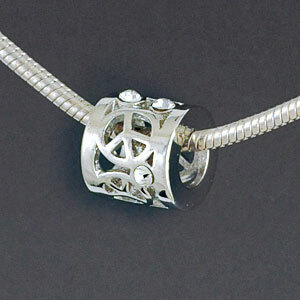 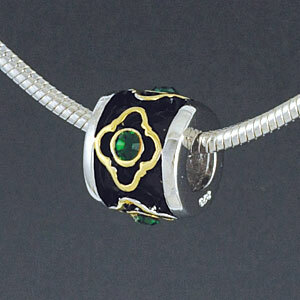 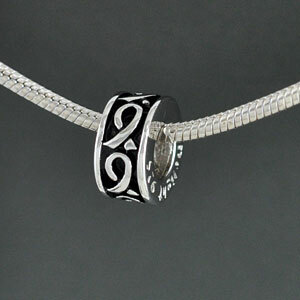 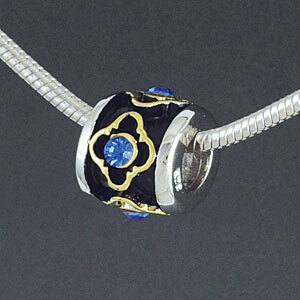 High end, sterling silver large hole beads are a great addition to any charm bracelet. Finding the perfect sterling silver spacer beads or large hole beads to complete your next bracelet with shouldn’t be hard within our selection. 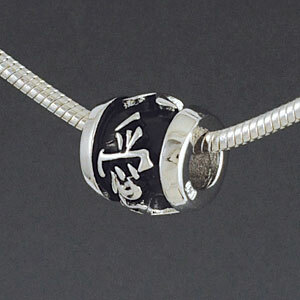 Many different designs, patterns, colors, and sizes are available within our collection, making the ideal spacer bead available for your charm bracelet. 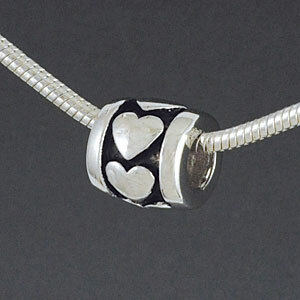 Whether you’re just looking for silver sterling spacer beads to act as a buffer between other beads on your bracelet, or you’re looking for simple but stylish charms to use as fillers in a bracelet, we have something for you. 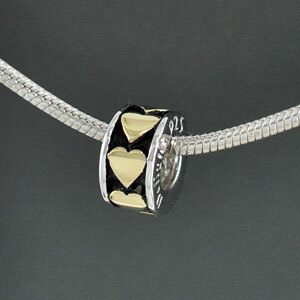 Designs like our Gold Hearts spacers utilize both silver and gold metals in the charm, allowing you to mix your jewelry much easier. 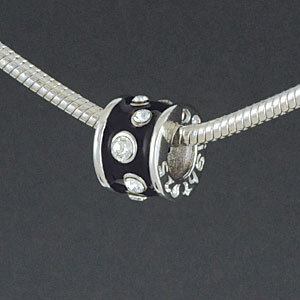 Other sterling silver large hole beads, like our Swarovski crystal accent beads, add a touch of sparkle to your bracelet. 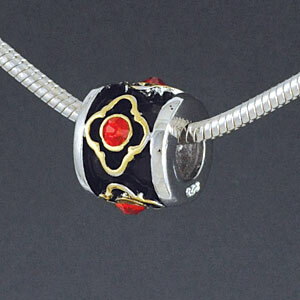 Our Gold Alhambra Diamond with Red Light Siam Swarovski crystal bead is a dainty but statement-worth choice to add to a bracelet. 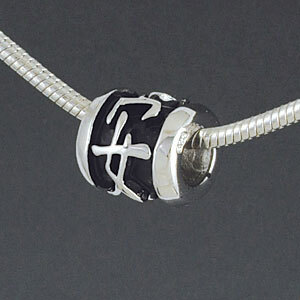 Whichever kind of filler or spacer you’re looking for, our selection of sterling silver large hole beads has what you’ve been searching for.